This is a three hour architecture walking tour in Ginza by a nationally licensed tour guide. As this is a private walking tour adjustable to guest's interests and knowledge of architecture, it will be an enjoyable experience for you even if you are not a professional in architecture. You will get to visit buildings with both traditional and contemporary architecture in the Ginza area including sites which are difficult to go to on your own. At the end of the tour, you will be a Ginza professional with numbers of artistic photos on your camera! Meet your guide in front of the Tsukiji Hongwanji temple at 10am or 1pm. After a short briefing, you will be visiting the Tsukiji Hongwanji, a Buddhist temple which is very uniquely designed compared to the other temples that you may know. Then, you will move on to the Kabuki-za theater, a historical theater that was revitalized by Kengo Kuma with an "old-meets-new" character. You will be visiting the Nakagin capsule tower, one of the most emblematic buildings from the "Metabolism Movement," which will perhaps be the highlight of the tour. (Please note, entrance to the inside of the tower is not included). 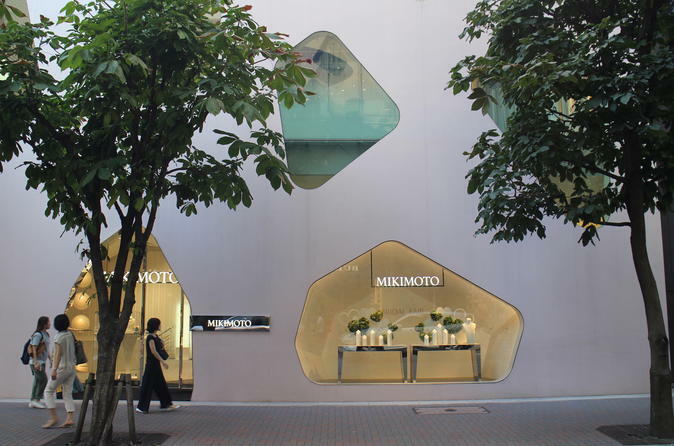 The tour will continue on to the main street of Ginza to see a couple more contemporary architectures, walking through the secret back alley and finish up at the famous intersection of Ginza at 1pm or 4pm depending on your departure time. Along with the architectural, historical and cultural lecture, you will also be given a glimpse of Japanese life from a local perspective. Great photo opportunities will be provided as well. Please note: This is a walking tour, however if you wish to take a taxi, it is possible with an additional fee paid on the day of the tour.